On this armchair teleseminar adventure you’ll discover the timeless traditons of animal blessings along with contemporary celebrations such as meow mixers, pet mitzvahs, and wild weddings. The journey also takes you into the pet party craze of beastly beauty pageants, yappy hours, and other seasonal galas. Historical facts, quirky descriptions, heartfelt sentiments, unique prayers, and novel ceremonies celebrating our animal friends, teachers and companions. for any animal lover, pet enthusiast, or avid reader! Be sure to join Val Heart, Relationship Coach for Animals & their People, and author, speaker, and animal coach Diana L Guerrero for a dynamic hour that will take you on a journey into the timeless traditions of animal blessings and into the world of contemporary critter ceremonies, and get a glimpse into how to blend the scientific methods of behavior modification with the intuitive. This Day and Time aren’t good for you? No Problem. If you aren’t able to attend at this time, go ahead and register anyway. We’ll send you the audio recording so you can listen later. I hope you can join us. There is no charge for the program–only your long distance charges from your phone carrier. 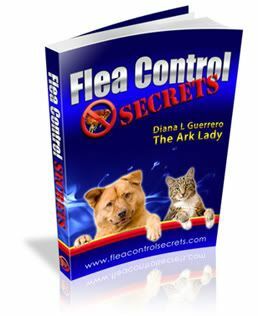 Ark Animal Answers Critter Cast with Diana L Guerrero is for animal lovers and pet enthusiasts of all ages. Embark on an audio armchair safari with animal expert and author, Diana L. Guerrero. Explore the animal kingdom and get pet care tips, the latest news and info on animal behavior, pet training, animal careers and more! This one minute podcast is updated regularly with longer special session bonuses added regularly.